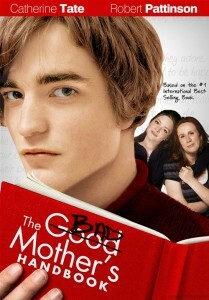 The face of Robert Pattinson, Twilight’s Edward Cullen, unfairly adorns the DVD jacket of The Bad Mother’s Handbook like Andrew Jackson on a $20 bill, while Catherine Tate (Gulliver’s Travels) and Holly Grainger (TV’s The Borgais), the real stars of this girl’s night out drama/comedy, can be seen gazing wistfully from the background. 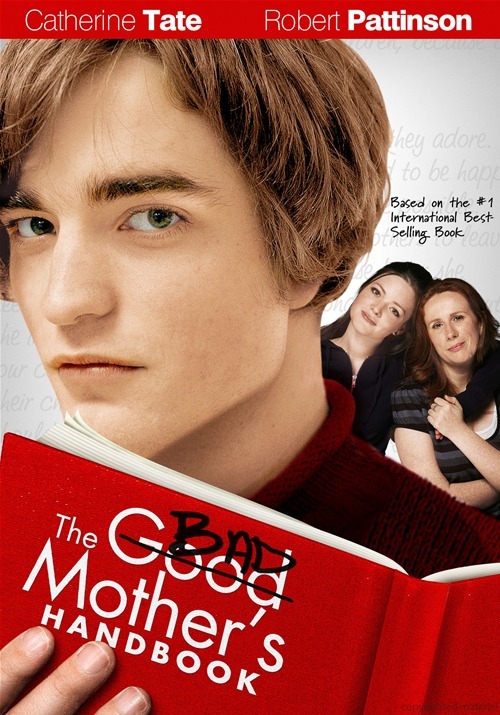 Though Pattinson’s presence might sell more DVD copies – especially to the film’s young female target audience – he actually spends a limited amount of time on screen. However, this is perhaps a boon for the movie, because his overacting as the awkward teenager Daniel in the 2007 film did no credit to his current status as a rising star. In this British TV movie, co-written by Kate Long and based on her 2004 best-selling novel , Tate and Grainger play a mother and daughter dealing with unplanned pregnancy and adoption in a suburban town in Scotland. Their accents are equal parts charming and indiscernible to American ears, but this eventually wears off. The mushy plot will probably repel viewers with a Y chromosome, but it is sure to be endearing to others. The theme of motherhood and the love between mothers and daughters is at the heart of the film’s story, but the director’s cinematography and narrative sensibilities resemble an amateur imitation of a caper from Guy Ritchie (Sherlock Holmes) and don’t seem to be the most appropriate means to convey such tender subject matter. The movie seems to regard itself too highly and drags heavily through the long middle of its story arc. Soap-opera-style framing, repetitive blurts of music, blunt characterization and cutesy editing tricks are more likely to induce groans than grins, but on the plus side, the two female leads, led by popular British TV personality Tate (Doctor Who), turn in competent performances with a good dose of chemistry.